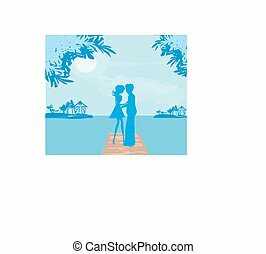 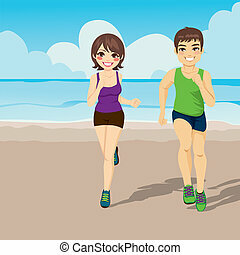 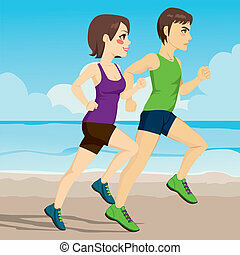 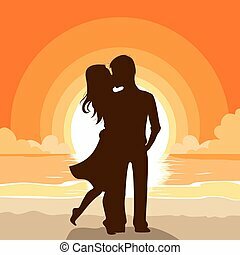 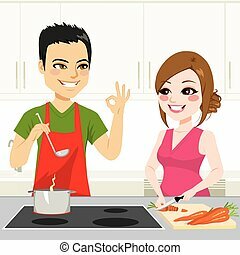 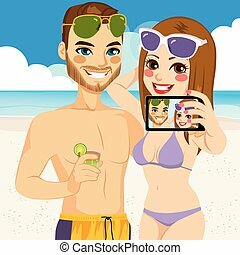 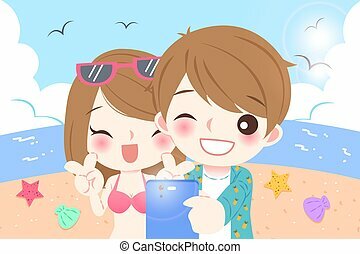 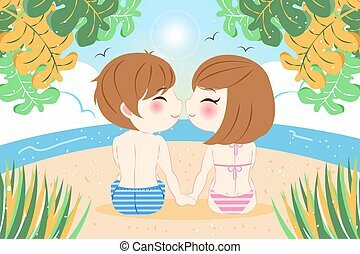 Couple together beach. 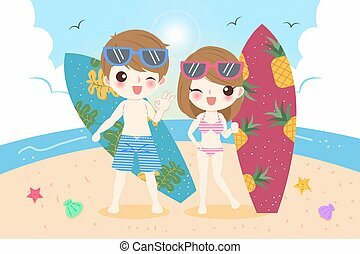 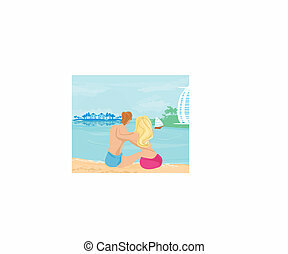 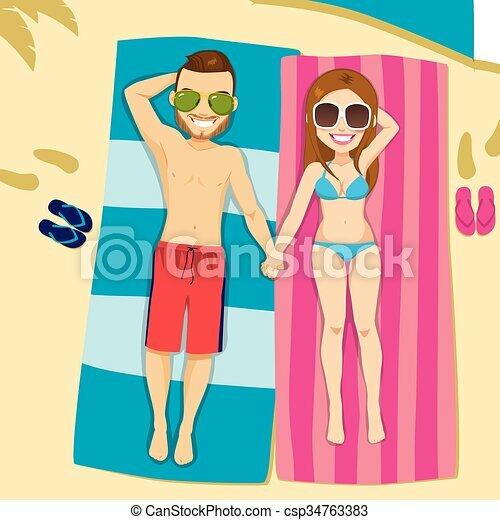 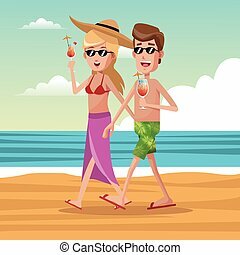 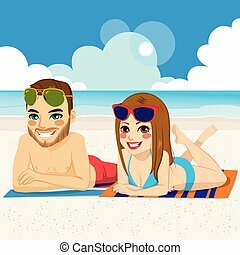 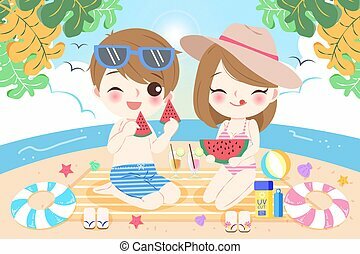 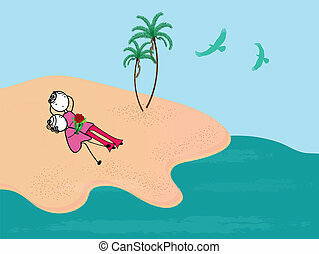 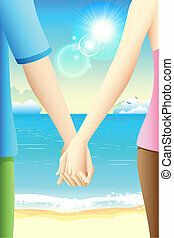 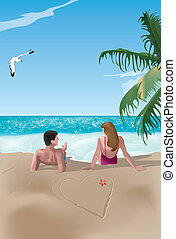 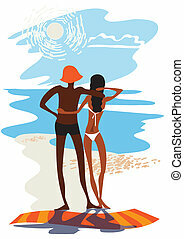 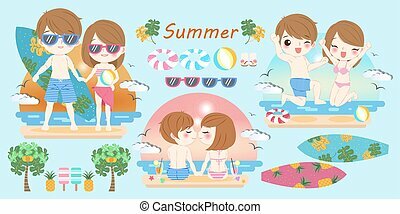 Romantic couple wearing swimsuit and sunglasses lying on towels holding hands on beach. 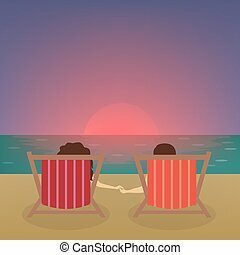 Couple at the beach watching sunset sitting.